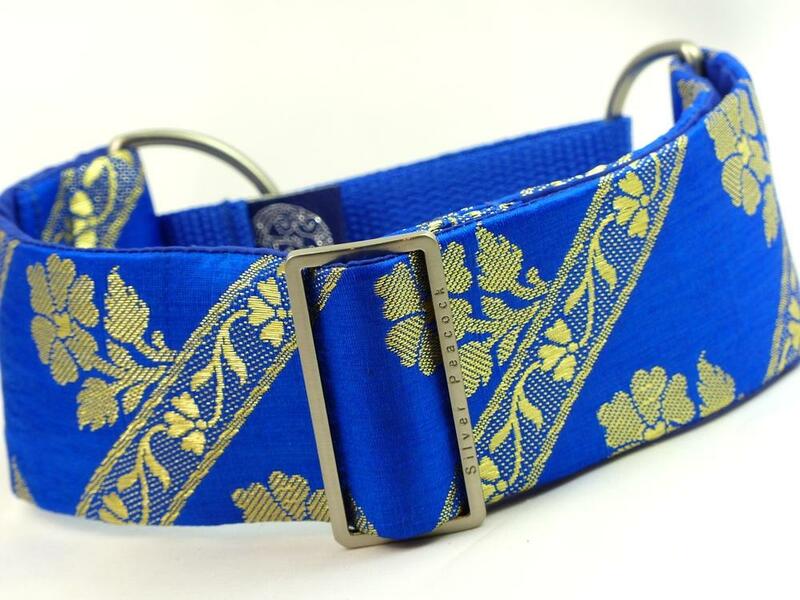 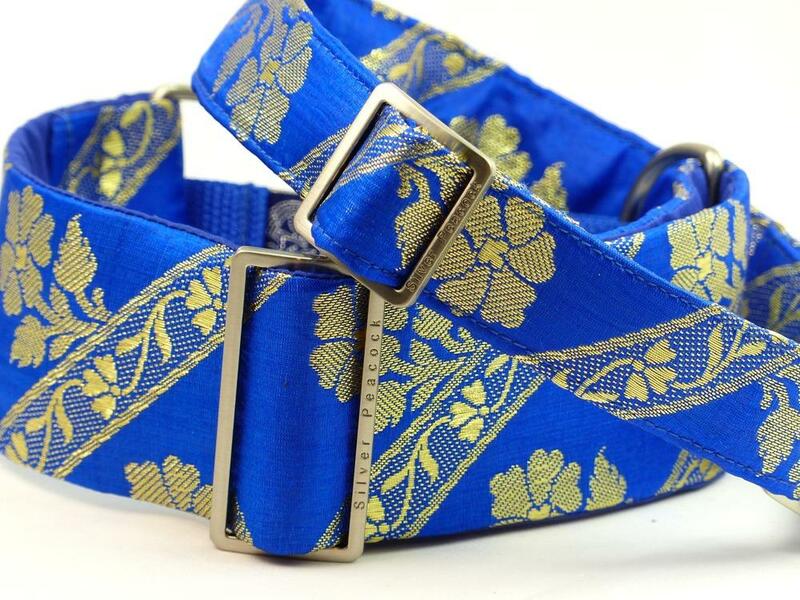 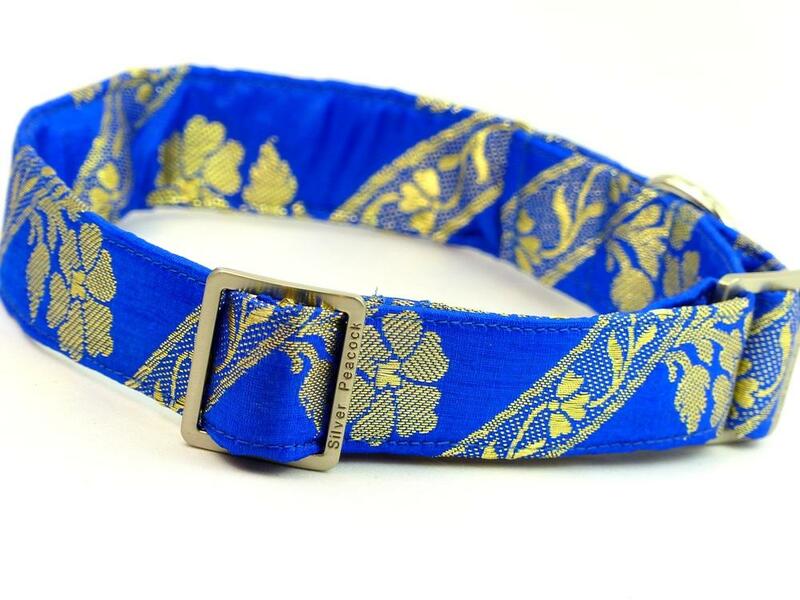 Made from Royal blue fabric with metallic gold floral and diagonal border designs covering the fabric, this collar is sure to get your hound noticed! 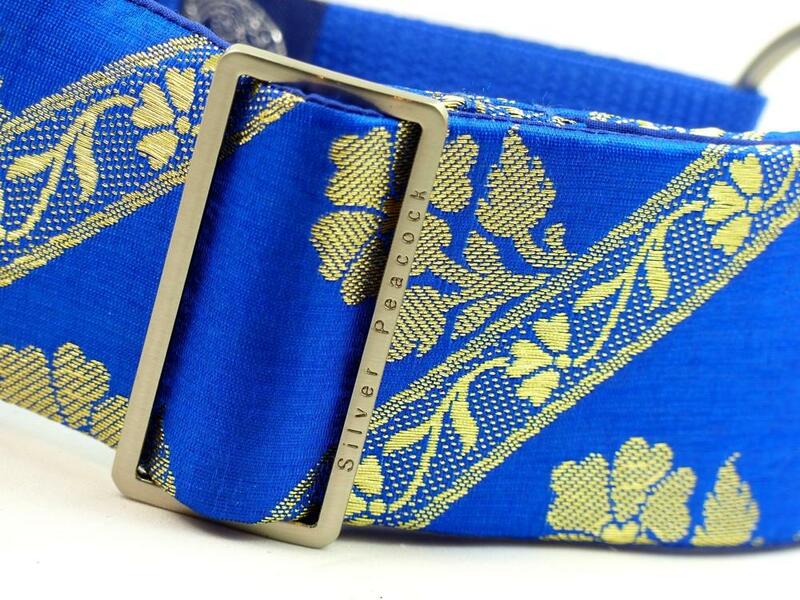 The collar is lined in royal blue fabric and is finished with our signature hardware. 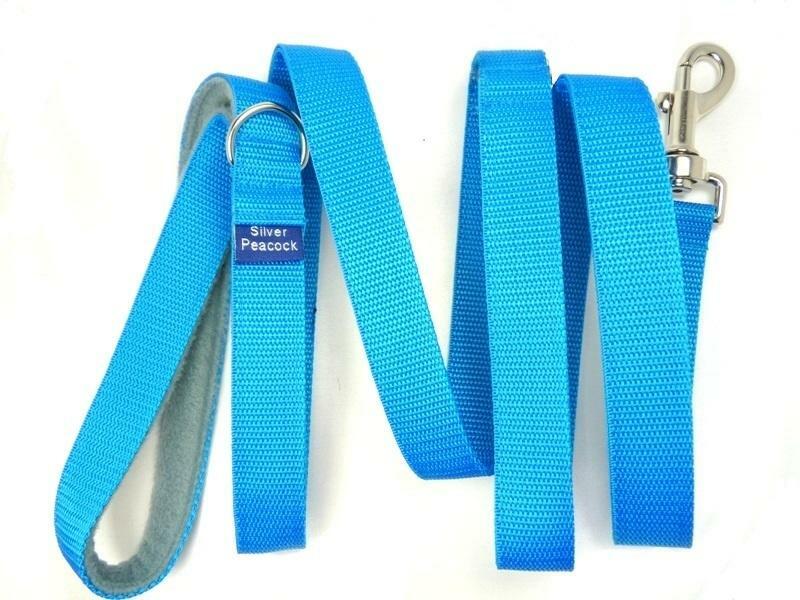 The martingale has a Royal blue webbing section.